This article examines the administration of immigration and border controls as instruments of national security, commonly subject to political contestation of a high order. The task of contemporary historians is to revise and probe at the assumptions and foundations of scholarship on the history of refugee policy in Australia. In this response to Klaus Neumann’s recent opinion piece in Australian Policy and History, I support the notion that a broadening of the approach to histories on refugee policy is necessary. 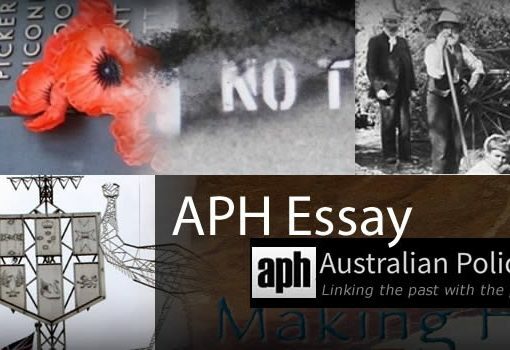 This discussion draws on a comparative paper given by Jayne Persian and myself at the Australian Historical Association (AHA) conference in July 2010, which compared the experiences of DPs in the immediate post-war era and Kosovar refugees evacuated to Australia in 1999. There remains a lack of ‘voice’ offered to refugees in public debate and within historical narratives. I argue for a critical evaluation of the experiences of refugees and media representations of them, as a way of restoring this voice. I identify and discuss three categorical topics that will provide historical researchers with avenues for broadening their scope: the facelessness of refugees; continuing practices in refugee policy; and the implications of whiteness for histories on refugee policy. One only has to count the number of books written about the history of immigration in the past fifty years, and compare it to the number of books written about World War I and World War II, political history, social history and cultural history. Or count the number of articles about immigration and refugee topics published in Australian Historical Studies. Or count the number of PhD theses written about Australia’s response to refugees and asylum seekers. Or the space accorded to immigration and refugee issues in general histories of postwar Australia. I support the notion that a broadening of the approach to histories on refugee policy is necessary. 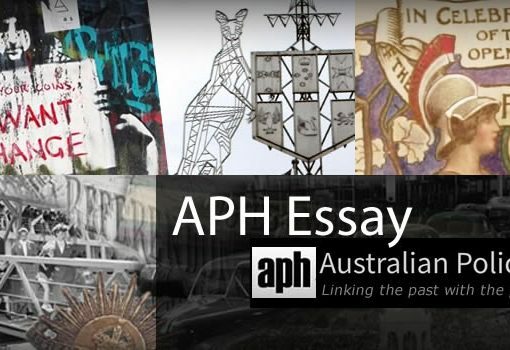 The task of contemporary historians is to revise and probe at the assumptions and foundations of scholarship on the history of refugee policy in Australia. In this paper, I discuss how there remains a lack of voice offered to refugees in public debate and within historical narratives. I argue for a critical evaluation of the experiences of refugees and media representations of them. I further propose three inclusive categories that will allow historical researchers to broaden their scope. I refer to these categories as the facelessness of refugees, continuing practices in refugee policy, and the implications of whiteness for histories on refugee policy. Neumann criticises refugee advocates for ‘resort[ing] to a tired refrain about the contributions refugees have made or could make to Australia’. The stories and contributions of refugees to Australian history, however, remain important in challenging popular, negative assumptions about them. Jayne Persian’s research has incorporated the experiences of DPs (displaced persons) from Central and Eastern Europe who had spent time at Bonegilla in the post-war period. Interviews with former Bonegilla DPs and their families have challenged attempts by tourism operators to ‘to fix the camps as memory sites for Displaced Persons and their children’. Persian evaluates how ‘memory’ implicates historical imaginings of refugees and negates their place in the ‘national story’. She affirms that efforts to commemorate the DP experience at Bonegilla have been part of a broader campaign to authenticate a ‘multicultural’ national narrative. Persian concludes that, as far as DP memory and commemoration are concerned, multiculturalism can be seen as a flawed, or failed, historical narrative of nationalism. Her investigation is an important contribution to refugee historiography, overcoming, as Neumann states, the more prominent theme that refugees ‘need to adapt [and that they] constitute a problem that needs to be fixed’. Importantly, Persian’s thesis challenges the dominant representation of refugees in the current political climate that offers very little voice to refugees. Linked to this lack of voice is the need for historians to investigate representations of refugees in the media. The mass media provides very little voice to refugees, with the overall impact being the exclusion of the personable and intimate details concerning refugees and their experiences. Sharon Pickering, in her study on media representation of refugees in Australia, correctly observes: ‘what is absent from the press … is any consideration of seeking asylum from the point of view of the asylum seeker’. The range of sources used in news media production has a significant effect on the way public opinion is formed. The media’s role as the ‘Fourth Estate’ denotes its central role in contemporary society, in performing an important social-democratic function, and in providing parameters for public debate on refugees. There is much to be said by historians on the links between the mass media, refugees and the production of consent in Australia. A number of continuing practices are central to the development of refugee policy in Australia. An example of a continuing practice is the public relations strategies employed by Federal Government and the Department of Immigration. This was recently discussed in a comparative paper given by Jayne Persian and myself at the Australian Historical Association conference in July 2010, which compared the experiences of post-war DPs and Kosovar refugees evacuated to Australia by the Federal Government in 1999. We identified a link between the way both the Bonegilla DPs and the Kosovars were ‘sold’ to the Australian public by government officials. In these two case studies, it was evident that there remain continuing historical ramifications impacting on refugee policy, which have tended to pander to an element of popular xenophobia and ‘White Australian’ conceptions of which migrant/refugee groups qualify as ‘acceptable’. While the evacuation of the Kosovars to Australia was part of a global humanitarian mission, as was ostensibly the acceptance of the DPs after the Second World War, both instances allowed many Australians to reaffirm a triumphal sense of ‘White virtue’ as central to conceptions of citizenship. Another example of a continuing practice in refugee policy is the conventions surrounding the kinds of accommodation offered to refugees. This applies to refugees who are detained for breach of their visa conditions, or for attempting to enter Australia without referral by the United Nations High Commissioner for Refugees (UNHCR). It also concerns those refugees who have been evacuated to Australia as part of humanitarian operations, including the Kosovar and East Timorese refugees in 1999. Today, Australia is sending refugees to disused military camps that are severely isolated from urban and more densely populated areas. It was announced by the Immigration Minister in September 2010, for instance, that Scherger Air Force base located near Weipa in Far North Queensland would house around 300 Afghan asylum seekers as a solution to over-crowding at other detention centres. The experience of asylum seekers today, it can be argued, is remarkably different to those DPs who arrived in Australia in the period immediately after the Second World War, and who were committed to the labour programs of the Federal Government. The post-war resettlement program provided DPs with a sense of permanency, via the promise of employment and the opportunity to network with the communities in which they were sent to work. Refugees residing in immigration detention today, however, are faced with much higher levels of uncertainty. Asylum seekers detained at Christmas Island, Scherger Air Force base and elsewhere await decisions about their visa status within a system that is unstable and subject to change at any given moment. This is exemplified by the moratorium imposed by the Federal Government on requests for asylum by Afghan refugees in April 2010. With a federal election imminent the Labor Government suspended its processing of new claims for asylum from Afghanis and Sri Lankans for a period of six months. This move harked back to the control-and-coerce rationale embedded in the temporary protection regime created by the Howard Government. It was a policy based on the very punitive mentality of the temporary protection visa, designed to punish and deter those entering Australia ‘illegally’ by boat. This change reflected the very fragile, illogical, inhumane and continuing practices of governments that have catered to the populist politics of the Australian community – and which tend to ignore Australia’s obligations under international conventions on refugees and human rights. Continuing practices, including public relations strategies and the use of quarantine-like accommodation, are shaped by historical conventions. By tracing these continuities, historians are able to account for and challenge the governing rationale of the Department of Immigration. The concept of continuing practices further implicates the ways in which federal governments determine the status and treatment of refugees, and which have remained significantly unchallenged in the arena of policy debate. Prime Minister Julia Gillard recently made good on her promise to the Australian Greens (which form part of her minority government) to allow a moral debate about the war in Afghanistan. Both sides of the House used this as an opportunity to make their policy position known, to justify their support for the war from a moral perspective. A similar debate might be allocated to the moral implications of some of the mainstays in refugee policy. These include the moral implications of housing refugees in isolated, quarantine-like camps that are typically manned by armed personnel and located either offshore or in remote desert towns. One of the reasons for this is to prevent refugees from mixing with the general population. This fear of refugees being ‘let loose’ into the community often emerges quite subtly in political and media discourse, and few politicians will publicly challenge this popular mindset. These kinds of fears dominated media coverage of a Woodside (near Adelaide) town meeting on 3rd November this year, when Liberal Party leader Tony Abbott turned out in support of the panic-stricken view of the local community. While admitting that refugees had to be housed somewhere, Abbott emphasised the grievance that locals were not consulted before Immigration Minister Chris Bowen announced refugees would be housed in the local community. The Liberal Party’s politicking of the issue continued a few days later at a town meeting in Northam in regional Western Australia. Here Deputy Liberal Leader Julie Bishop took a similar stance to her party leader, criticising the Government’s decision to house 1500 male refugees in the town. Politicking aside, Abbott is correct in calling for more dialogue with communities about this issue. The furore over the placement of refugees in local communities has provided the Federal Government with an opportunity to promote the moral implications of refugee policy and win community support for the placement of refugees in non-isolated conditions. There remains much room for historians to investigate the fundamental assumptions underpinning refugee policy from a whiteness studies perspective. In White Nation: Fantasies of White Supremacy in a Multicultural Society, Ghassan Hage challenges scholars on both the ‘left’ and ‘right’ with a postmodernist perspective on ‘aristocratic white dominance’ in the public sphere and scholarly debate. White Nation (followed by Against Paranoid Nationalism: Searching for Hope in a Shrinking Society) unsettles the ‘good intentions’ of scholars urging a more compassionate approach to immigration issues. The interventions of critical whiteness scholars have provided new avenues for researchers to deconstruct Australia’s refugee policies. Historians are offered a variety of theoretical and methodological tools for deconstructing refugee policy from a whiteness studies perspective. Some of these critical methods include discourse analysis, media framing and investigations into cultural hegemony. The task for historians, incorporating methodologies employed in whiteness studies, will be to expose, reveal and unsettle practices of whiteness in refugee policy, deconstructing whiteness as a pervasive ideology that has existed as a hegemonic force throughout Australian political history. As Neumann asserts, ‘we need to know much more about the history of popular opposition against refugee arrivals’. He concludes that ‘Australians are a long way off from being mindful of the richness of histories and memories that make up their collective heritage’. This certainly is an accurate depiction of the narrowness of the scope used in refugee studies over the past decade. The majority of scholarship on refugees since Tampa and ‘children overboard’ across a variety of fields has centred on the topical (and important) subject matter of Middle Eastern and Muslim asylum seekers. Much of this research has accurately noted that refugees are frequently demonised by the media and politicians as a way of marking popular, national and ‘white’ moral boundaries. These studies often conclude that the accumulative, long-term impact of popular media discourse is that refugees – whether they are referred to as ‘boat people’, ‘asylum seekers’ or simply as ‘refugees’ – have come to represent the moral ‘Other’; the idea that refugees are popularly construed as a significant threat that ought to be removed from the nation-state as quickly and quietly as possible. The common conclusion of this body of work is that, for the greater part of the past two decades, the response of federal governments to refugees has been to act rashly and pander to populist panic and fear. It is not only those refugees who arrive ‘unauthorised’ or ‘illegally’, however, who are subject to the hegemonic practices of whiteness. When the Kosovar refugees were evacuated to Australia, it was the virtue of White Australians that was showcased first and foremost by the media, as opposed to the plight of the refugees themselves. We readily applauded ourselves during the Kosovo refugee crisis when the opportunity was made available to us to parade the nation as humanitarian – to temporary, ‘legal’ and ‘white’ refugees. My research on the Kosovar refugees has indicated that there is significant room for scholars to focus on a much more diverse range of topic (and less ‘topical’) areas, and to move beyond the Muslim-boat people nexus. It may be the case that publishers are disinterested in non-topical research, with the effect of cultivating complacency within the academic community. Whatever the reasons, the tunnel vision that has tended to shape investigations into refugee policy over the past decade indicates why some episodes central to the development of Australian refugee policy – such as the evacuation of the Kosovars – have been significantly overlooked by researchers. My research affirms that the plight of the Kosovars played a central role in effecting the changes brought about in refugee policy in 1999. The evacuation of the Kosovar refugees to Australia provided much of the initial impetus for the introduction of the Howard Government’s temporary protection regime. The dominant rationale governing contemporary refugee policy is predicated on historical continuities and practices and remains significantly unchallenged in public debate. Unsettling these continuities is an important task for historians, and will present challenging, scholarly and moral questions to those working at a policy level in the Department of Immigration. By undertaking this kind of research, historians are tasked with broadening their methodological and theoretical approach. Without exploring these kinds of avenues, historians will remain ‘outsiders’ (or perhaps even irrelevant) to policy discussions. One area historians must focus on is continuing practices in governmental responses to refugees. Two of these include the kinds of accommodation refugees are offered and the public relations strategies of the Department of Immigration. Historians, moreover, are able to deconstruct the way media representations of refugees are related to the reproduction of consent in Australian society. Their investigations can further expose whiteness as an historically produced ideology that continues to shape refugee policy today. These kinds of histories have the potential to confront the issue of facelessness, and restore the humanity of refugees in the popular Australian mindset. Sharon Pickering, ‘Common Sense and Original Deviancy: News Discourses and Asylum Seekers in Australia’, Journal of Refugee Studies, Vol 14, No. 2, 2001, pp. 169-186. RV Ericson, PM Baranek, and JBL Chan, Representing Order: Crime, Law and Justice in the News Media, Open University Press, Buckingham, 1996. ‘Isolation solution “no help to asylum seekers”’, 17 September 2010, Australian Broadcasting Corporation (ABC) News. See also ‘PM defends refugee detention plans’, AAP, 29 September 2010, AAP Bulletins. Denise Phillips, ‘Hazaras’ Persecution Worsens: Will the New Government show Leadership by lifting the Suspension on Afghani Asylum Claims?’, Australian Policy and History, August 2010. Alison Bashford, and Carolyn Strange, ‘Asylum-seekers and national histories of detention’, The Australian Journal of Politics and History, 48.4, December 2002, pp. 509-528. J Jupp, From White Australia to Woomera: The Story of Australian Immigration, Cambridge University Press, Cambridge, 2002. For scholarship by academics working generally in the field of whiteness studies, see G Hage, White Nation, Fantasies of White Supremacy in a Multicultural Society, Pluto Press, Annandale, 1998. Also S Perera, ‘Who will I become? The multiple formations of Australian Whiteness’, ACRAWSA Journal, 1(1), pp. 30-39. Also Barbara J Fields, ‘Whiteness, Race and Identity’, International Labor and Working-Class History, No. 60, Fall 2001, pp. 48-56. And Richard Dyer, White, Routledge, London, 1997. Klaus Neumann, ‘Refugees: the silence of the historians’, The Age, 11 June 2004, online at http://www.theage.com.au/articles/2004/06/10/1086749836896.html, cited 23 October 2010. Citation: Robert Carr, Broadening the Scope of Historical Enquiry into Australian Refugee Policy. Australian Policy and History. November 2010. Previous post What’s Wrong with Anzac?